So, it has come to my attention that the entire reason we wanted to start this blog is so that we can chronicle the process of getting ready to cast our lines and sail off into the sunset. 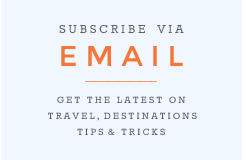 There are a multitude of sites and blogs devoted to what happens once you start cruising, but not very much in the way of how to go about doing it. So that's what we want to do...if not for you - the potential cruiser, but for us - to remember all that we did to turn our dream into a reality. 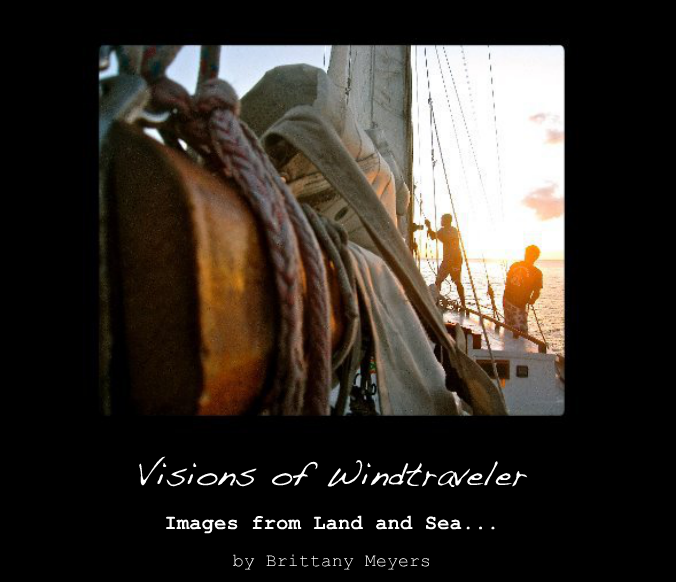 Arguably, the most important - or rather - the most crucial element of this dream (besides the dream itself, of course) is a boat, and a sailboat to be specific. Scott and I don't have one. Yet. The past 5 months or so have been dedicated to finding this elusive sailboat. Seems pretty simple, right? Find a boat you like - buy it, provision it...and shove off!! Yeah. Not so much. Looking for a boat is overwhelming, daunting and, at times, discouraging. But it has been a wonderful learning process. I am very fortunate to come from a long line of sailors who have some great connections in the boating world. One such person is a broker on the East Coast who goes by Allen Schiller. This man, with his Bostonian accent and no-frills delivery (yet fantastic sense of humor), has been a tremendous help during this journey. He has agreed to help us with this process for "a drink in the islands somewhere" and his expertise and knowlege has been wonderful to have at our disposal. You see, no two sailboats are alike - and there are thousands of different boats for thousands of different purposes. There are racers, cruisers, racer-cruisers, sloops, ketches, cutters and more. They are made of all different types of fiberglass, wood, steel, aluminum, and even ferro-cement. They have full keels, canting keels, fixed keels, fin and bulb keels and this is only the beginning! Quickly, I realized I needed to put together a list of "ideal criteria" for our boat to help narrow down the search. Keep in mind - there are a thousand other elements that go into a "blue water boat" but these were our (initial) "top 10". And these helped narrow our search. Again - this is what we did. Keep in mind we have little to no idea what we are doing - so please, do not take this (or anything I write) as gospel - I am simply letting you know what we did, and what (presumably - touch wood!) worked for us. For example, the attributes above sacrifice speed which may or may not be important to you. The boat described above will not point and won't beat to windward very fast but it will be very safe at sea. At this stage in the game, we'd rather sacrifice speed for peace of mind when we do (inevitably) hit that weather that makes us wonder what the hell we think we are doing out there on the big ocean. Okay - so back to the search. I spent countless hours on Yachtworld searching for Cruising sailboats between 35-40 feet, between 30K-60K and in the Great Lakes region. I would look at a boat, read the "full specs" and then do two things: 1) forward the boat to Allen and 2) research the boat a bit (Sailnet Forum is a great place for info by the way, as is Mahia Expedition's List of Blue Water Boats). I learned a lot about boats doing this - I also learned that there is ALWAYS going to be more to learn. Fun! Typically, Allen would email me back immediately with his opinion, something like "this boat represents everything that is wrong with Chinese built boats" or "piece of junk". This short and to-the-point information was all I needed to cross boats off the list. After week after week of this, I started learning more and more about "blue water boats" and the different makes of boats that seemed to pop up every time you searched for them. One such builder, Hallberg-Rassy was on every list and so, naturally, I hit Yachtworld and looked for them (and some others who also made frequent appearances). 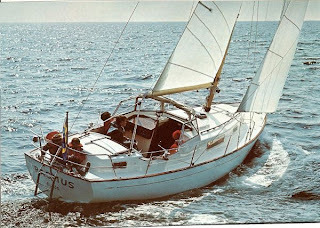 I found a 1975 Hallberg-Rassy Rasmus 35 listed on Yachtworld in our price range. I jumped on it and immediately sent it to Scott and Allen. Allen replied simply "Hallberg-Rassy's are world class boats if there's enough space in it for you" and that was enough for me! We were given a green light! I'm pretty sure I found everything on the Internet there is to find about that particular boat - and I knew we had a gem on our hands! The Universe was working for us - because I found that boat just before Mother's day 2009 and Scott and I were heading up to Northern Michigan to see his mom for her 60th birthday which was the same weekend. As serendipity would have it - the boat was located in Elk Rapids which was a mere 30 minutes from Scott's mom's place! So we made an appointment to see it the day before Mother's day. Fate? Perhaps. Now, the first rule of thumb when buying a boat is to NEVER, EVER fall in love with a boat. This is because "falling in love" can lead you to make stupid, rash decisions with your heart rather than your head (and we all know that, don't we?). So I don't think we fell in love per-say, but we were REALLY attracted to her! Her lines were beautiful, she was impeccably maintained, and just a beautiful boat overall. We knew. While she might not be the one - she certainly could be. Which leaves us where we are now. We have come to an agreement on price (whoo hoo!!) and are now onto phase II of this boat-buying journey which is a three part saga: 1) booking a marine survey (sort of like an inspection before you buy a home) 2) booking an engine survey (this is a-typical, but because the engine and boat are 35 years old we want to make sure everything is in ship shape!) and finally 3) a sea trial where we will get to sail her. Sigh. It's a good, albeit surreal, feeling knowing we are *this* much closer to making this happen. There is so much more I want to tell you about the boat, what we plan to do and more specifics, but since this is not a "done deal" I don't want to get too ahead of myself! So, that's all for now and we'll keep you posted along the way! HR's are an incredible boat if you can find the deals like you did. Tammy used to work for West Coast Yachts in Seattle - the HR dealer on the west coast. We would have loved to have found an HR ourselves, alas too much $$. Good luck with her out there. Looking forward to reading more... reminds us of us just a year ago. Hi, I love keeping up to date with your blog... just a comment Yachtworld is good, but I have also been using www.theyachtmarket.com recently, they have so many boats of all sizes, prices and locations.